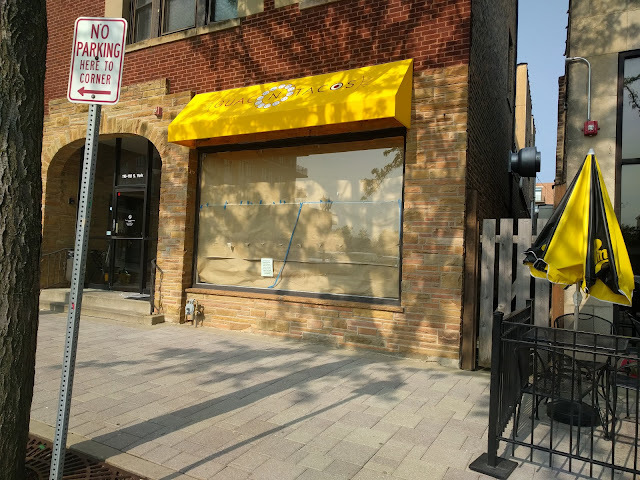 It was just back in April that I chronicled the closing of Goalie's Goodies on the east side of York Street, just south of the tracks in the Elmhurst City Centre. 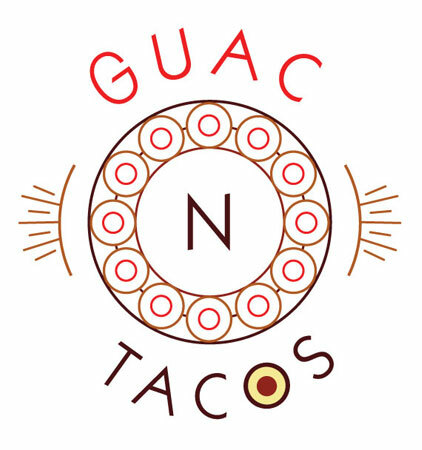 Well....there's some good news: if you walk past the site today, you'll see this brand new awning up that welcomes a new business: Guac-n-Tacos. They have a new site up, but there (currently) isn't any info up there yet besides their new logo - which I've included below. Think this will be a great addition to the City Centre. The place isn't big, so it won't be a full sit-down place, I don't think? Probably a counter to order and maybe a counter to eat facing out the front window? We have a Chipotle in the core of the City Center and The Salseria nearby and those two seem to co-exist with Chipotle being the quickserve that (increasingly!!) seems like it is being overtaken by Teens/Tweens/E-Coli???? and the Salseria, which is a full-service sit-down place. Where will Guac-n-Tacos fit in? Somewhere in between those two? With Nat being a HUGE Mexican-food-eater, I know we'll give this place a good shot shortly after they open. Here's hoping it will be a huge success!